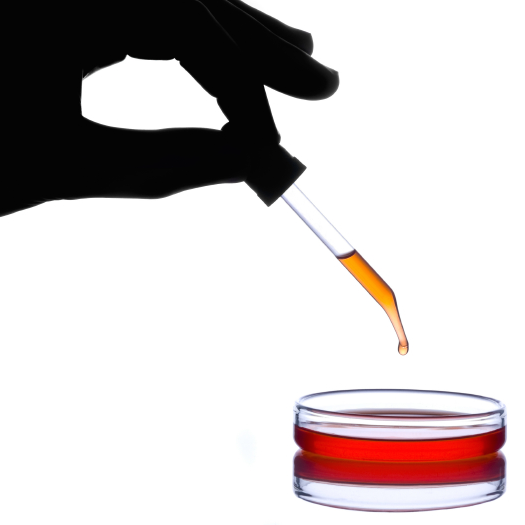 I image most people outside of the Procurement Contact will need to work with License Keys in some form or fashion. 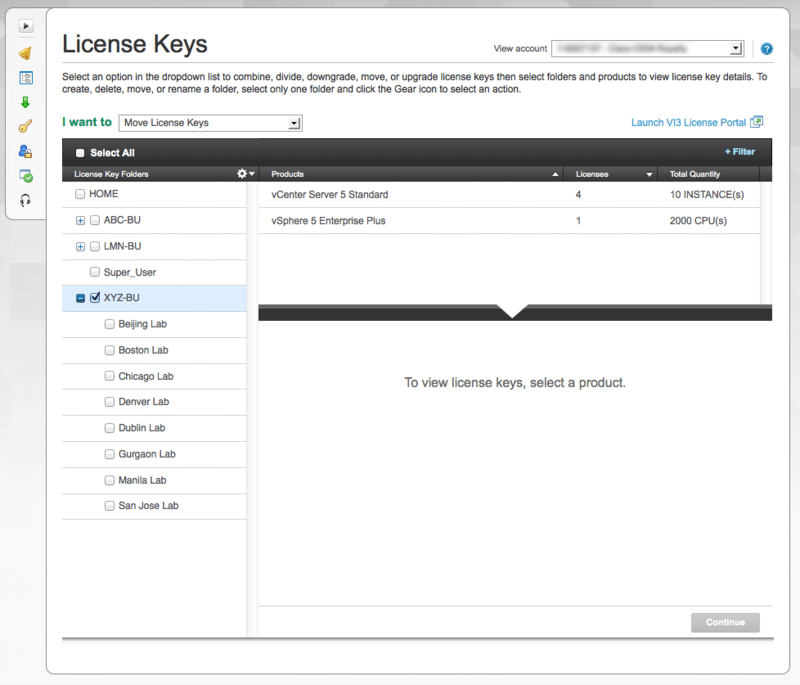 In general, license keys haven’t changed from the old licensing portal. 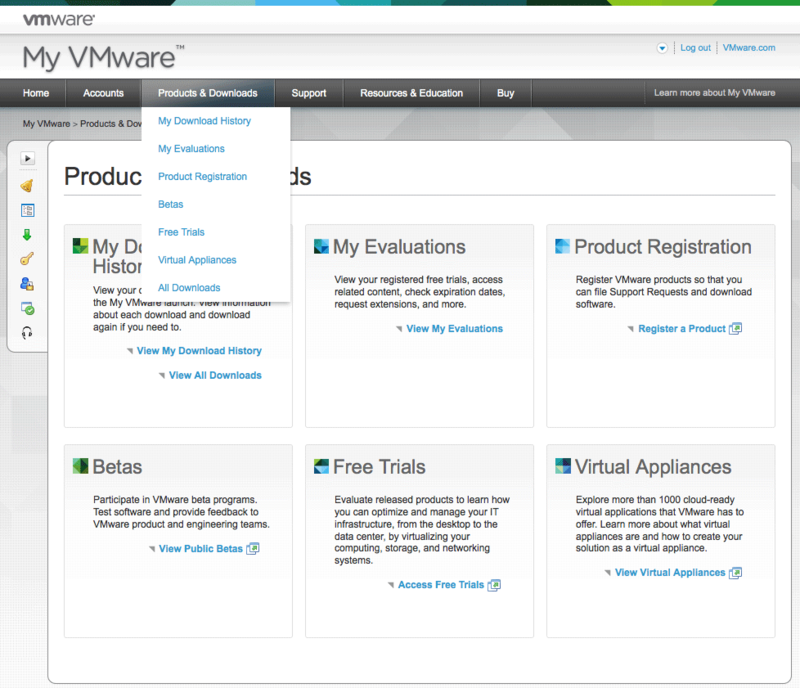 You’ll see a collection of license keys for each VMware product that you own. Any notes that were entered in the license keys will still be there in My VMware. The big change in My VMware is the ability to organize license keys into folders. Everyone has a default “Home” Folder and, if you were a PLA or SLA, a folder with their full name in which all your license keys were deposited. You will now have the ability to organize these keys in a way that makes sense for your organization. I can forsee this being broken down by Business Unit or Group Name and then possible further by physical location the licenses are deployed (see below screen shot with mocked up example). In the end, it’s up to each user or team to come up with a logical organization system that works for them. Create folders, name them, re-name them, nest them…it’s up to you. When another user grants you access to a license key, they create a folder and placing that license key into that folder. You are granted access at the folder level. So once that happens, you’ll see this new folder appear within your Home folder. Most of the time users receiving licenses may not have the ability to move or rename this folder (it depends on the permissions the granting user gives you). A larger organization may eventually have the Super User define a folder organization structure for them to optimally manage the license keys for the enterprise. This may cause other user’s folders to change. 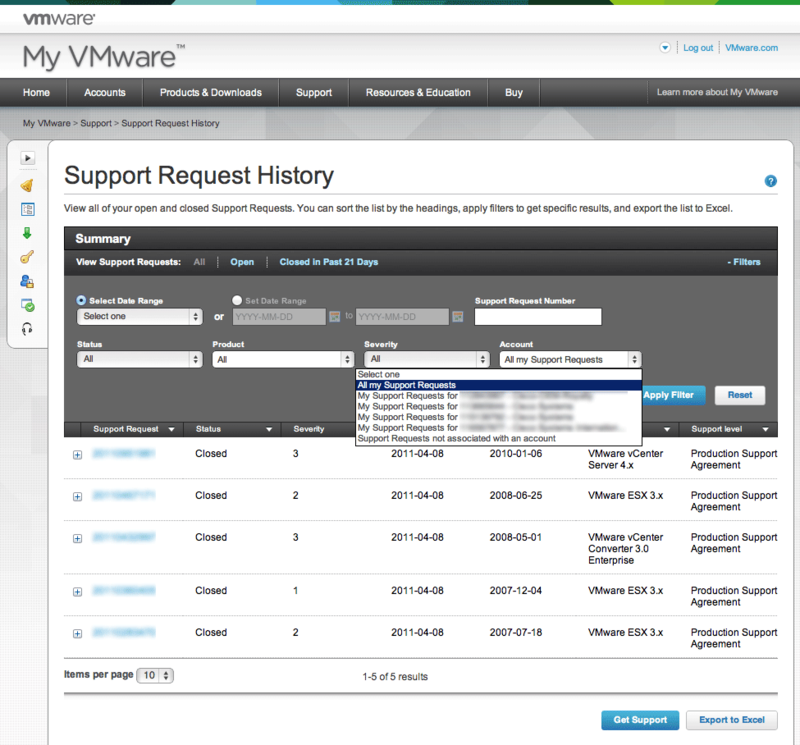 If you need to open a new Support Case or check on the status of an existing Support Case, you can do it all under the “Support” menu of My VMware. 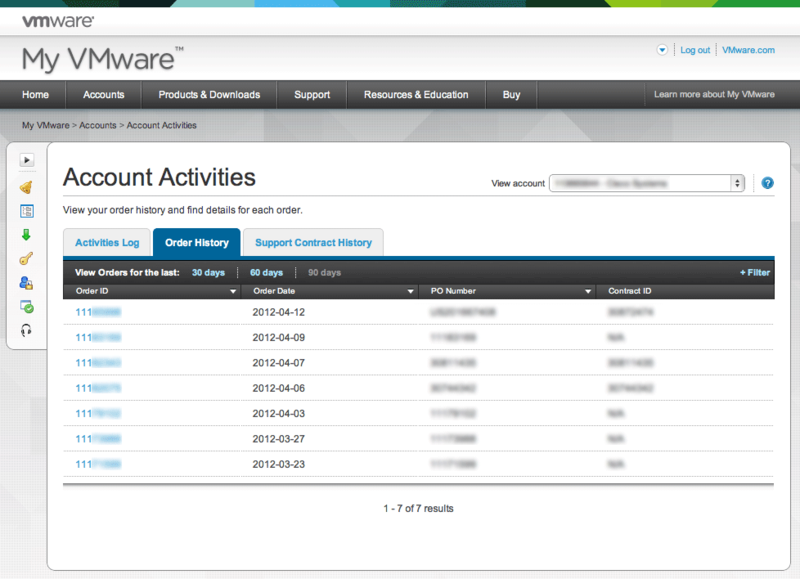 My VMware also provides links to allow you to download software quickly from within the Portal. Evaluations, betas, trials, appliances, product downloads, they are all just one click away under the “Product and Downloads” menu of the portal. Most of these will link you to the download locations that you are already familiar with.